Snow covered roads tonight causing some issues for anyone driving. A lot of accidents being reported. The snow showers are continuing to fall and the heaviest snow is tracking south of I70. 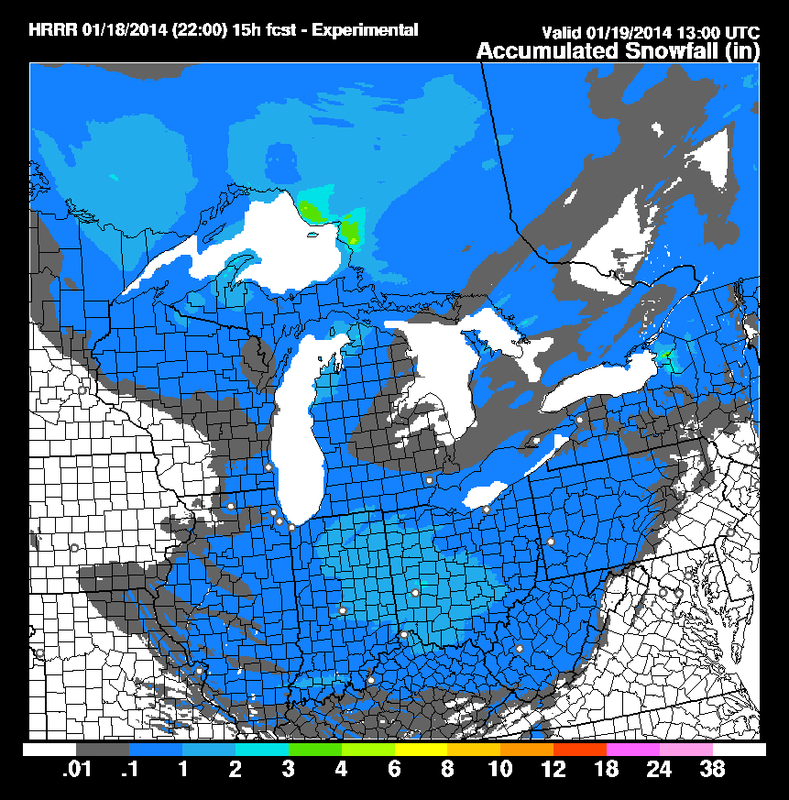 The latest HRRR Hi-Res forecast model is doing a "decent" job with the snow totals. The snow will be gone by daybreak, and we are calling for 1-3" of snow. The lower part of the range will be North of I-70 and the higher part of the range will be South of I-70. We dry out Sunday, but another light round of snow will move through for Monday... then the bitter cold returns for Tuesday and Wednesday. Some of the are could fall below zero, but that is the low I am going with for Columbus Wednesday morning. More light snow Thursday followed by another cold blast Friday... and then more snow Saturday into Sunday. Catching a pattern here? Yea, no warm temps anytime soon and each round of snow will be light. Keep the layers handy and have a good one!